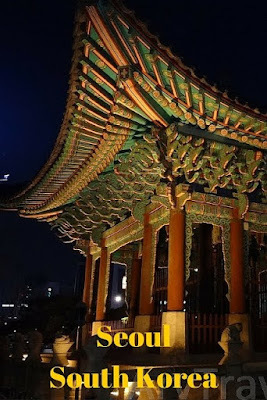 Situated in the heart of South Korea, Seoul is the historic capital of South Korea. It is a lively and enjoyable city with amazing nightlife and variety of street foods. This variant city is very much forward in the field of fashion and technology while holding its age-old unique tradition and culture to its heart. Technically Seoul is a metropolitan city situated among four mountains which are named as the guardian of this amazing city. The spectacular plazas and buildings made of steel, concrete and glass reside alongside with the ancient temples and palaces. While traveling to this city, a traveler must enjoy this contrast of ancient and modern along with the amazing street foods and sparkling nightlife. Transportation: Seoul is extremely well connected with a very nice subway train network and is fairly easy to use even for someone with no knowledge of Korean. They have signs in English. If this is your first time in Seoul Get a subway map and for me the first stop was Gwanghwamun Station, this was the starting point of my Seoul adventure. Once out side the Gwanghwamun station you will see The statue of Admiral Yi Sun-shin and The statue of King Sejong. There is a tourist office nearby outside the Gwanghwamun station, If you have limited time, my advice is to use the tourist buses, they have hop on hop off buses and they run every half an hour. I took 3 tours on different days, Night city tour bus, Market Tour and Downtown Tour. This was the second royal villa created after the Gyeongbokgung palace. Most of the ancient buildings are still standing till date. This palace was also used by the Joseon Dynasty, especially towards the end of this dynasty. The last emperor of Korea named Sunjong was passed in this palace in 1926. This place has influenced typical Korean architecture and the arts related to it for a long time. It is the place which has lots of art galleries and shops. It is sort of the focal-place for South Korean art and crafts. The stores of Insadong are hugely popular for their collection of South Korean traditional artifacts. 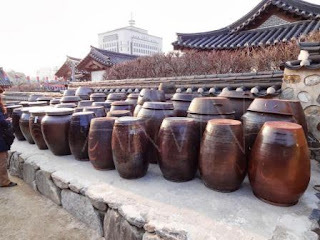 The traditional things like hanbok (traditional clothing), hanji (traditional paper), traditional teas, pottery, and folk crafts can be found in this place. Apart from the shops and galleries, the small coffee shops serving traditional and tea and coffee are very popular here. Here the travelers can also find vegetarian restaurants. This is the most famous shopping district of this city, which can be called as the Fashion capital of the city. A visitor is expected to find all kind of varieties here, from the International brands to traditional Korean fashions. Apart from shopping, this place is also best for tasting local fast foods or South Korean cuisine in one of the family restaurants. The Donkas (Pork Cultlets) and Kalguksu (thick noodles) are very famous dishes that are very popular of this place. This famous park is located centrally and considered to be the symbol of Seoul. It is normally an ecology-island, around which the urban districts of the city of Seoul are located. Though this park is located in the central of a metropolitan city, it has a collection of wild animals. This traditional village is a residential area which has 600 years of history. The traditional wooden home which is the specialty of Korean Architecture can be seen in this village. The name signifies ‘North Village’; it is situated between Gyeongbokgung in the west and Changdeokgung in the East. It is the best place to get lost in the historical Korean village, admiring the old architecture, just a few kilometers away from a modern metropolitan city. It is world’s largest indoor theme park. Along with the amazing rides and an outdoor amusement park, it also holds a traditional Folk museum. The Folk museum provides an insight into the ancient Korean life. Also known as the Namsan Tower or Seoul Tower, it offers a great view of the whole city. It is also a symbol of this city since 1980. The citizens along with the travelers normally enjoy the view of the city and surrounding mountains from this tower. This tower nowadays has chic restaurants, movie theaters, and the other attractions like a teddy bear museum with all the teddy bears portraying the culture of Korea. • You can enjoy hiking in one of the four Mountain Range surrounding Seoul. 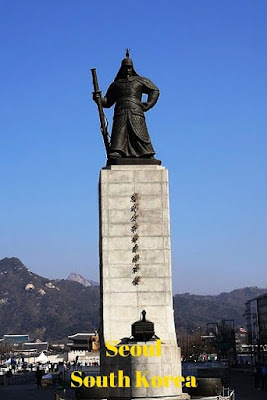 They are called Mount Bukhan, Mount Gwanak , Mount Samseong and Mount Inwang. • In the lap of Mount Bukhan, take a trip of the famous Cheongwadae, the official residence of the President of the Republic of South Korea. The name Cheongwadae signifies ‘The pavilion of blue Tiles’, as the blue tiles are the signature marking of the Presidential resident. • Enjoy the nightlife at the area around Hongdae. • The Korean drama lovers can also take a trip to famous Namiseom Island. • Taste the food of the Gwangjang Market. 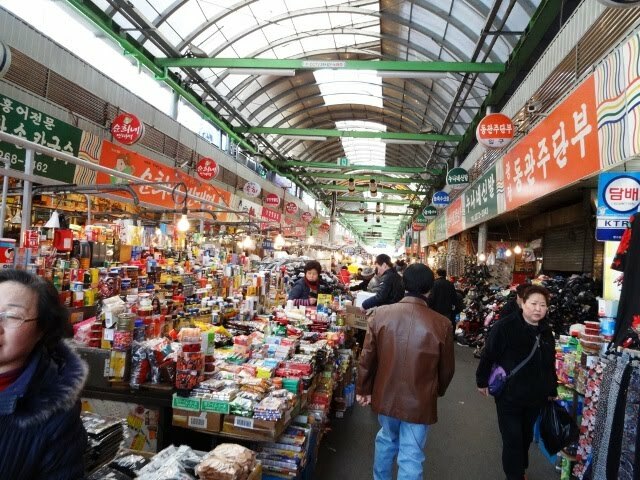 The largest food alley of Seoul. This city possesses the reputation of providing anything any time of the day. This 24-hour city can take you from its traditional core to modern upbeat in a heartbeat. 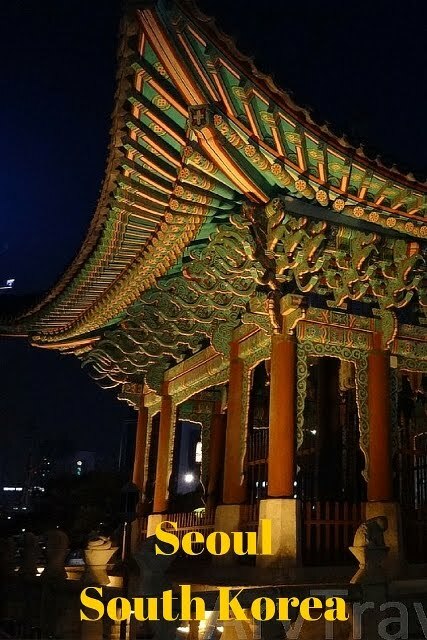 Great tips for visiting Seoul. Any personal favorites? Great read i really enjoyed this hoping to get to South Korea and China late next year. I love the palaces and since they are UNESCO sites that appeals to me even more. The indoor theme park would appeal to our kids for sure. I'm really looking forward to getting to Seoul in 2017 - have heard such amazing things about the palaces, and the culture, and the nature too - so many diverse things to do! Great ideas for visitors to Seoul. I haven't made it to South Korea yet, but hopefully soon!